Those who decided not to opt for premium status in the Call of Duty Elite program on Xbox Live will get their first taste of DLC for Modern Warfare 3 on March 20. Content Collection #1 includes the Liberation, Piazza, Overwatch and Black Box maps for multiplayer, plus Black Ice and Negotiator -- two Spec Ops missions. Black Ice tasks players with infiltrating a diamond mine and planting a bomb to cripple operations there forever. 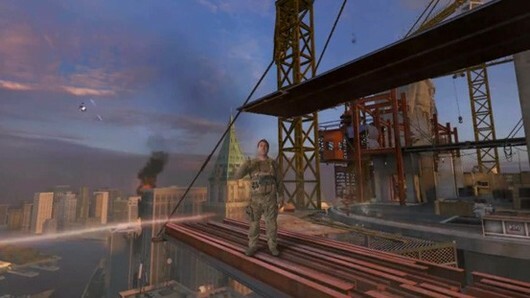 The Negotiator Spec Ops mission takes players to India, where they must rescue hostages by negotiating bullets into enemy bodies. Black Box, Black Ice and Negotiator will come to premium Elite members first on Xbox Live on March 13. All of this content will deploy on other platforms at a later, unspecified date. Modern Warfare 3 'Content Collection #1' drops on Xbox Live March 20 originally appeared on Joystiq on Wed, 29 Feb 2012 18:30:00 EST. Please see our terms for use of feeds. $15,000 sounds like a lot of money -- why yes, I would like to buy a brand new motorcycle, thank you -- and for an indie studio, it's just enough to keep the engine running. Indie Studio Cipher Prime know this better than most, having tried various funding styles for its three titles, Auditorium, Pulse and Fractal, and now banking on Kickstarter to finance its newest installment, Auditorium 2: Duet. 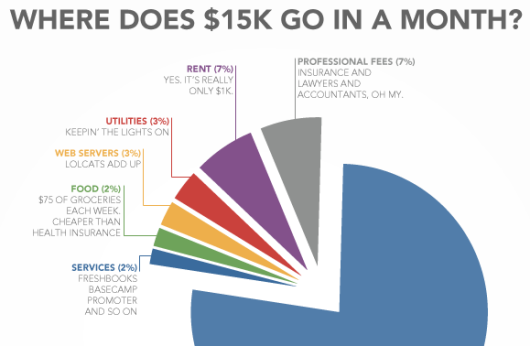 Dain Saint of Cipher Prime put together this handy visual breakdown of what $15,000 means for his studio, and for the likelihood that his team will be able to buy groceries each week. Co-founder Will Stallwood points out that the graph doesn't include health insurance, because they "opted for food over health insurance," and it doesn't list the debt Cipher Prime has piled up from using credit cards to offset slow months. Check out the full graph below for a rough representation of Cipher Prime's expenses. Again, note that it doesn't account for everything, including equipment costs or the price of a pro license of Duet's engine, Unity, which runs $6,000. 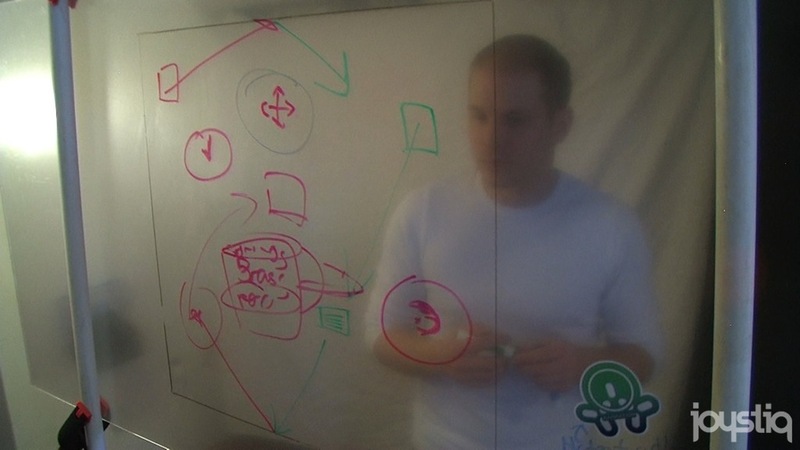 How one indie studio burns $15K per month (or: this graph looks like Pac-Man) originally appeared on Joystiq on Wed, 29 Feb 2012 18:00:00 EST. Please see our terms for use of feeds. 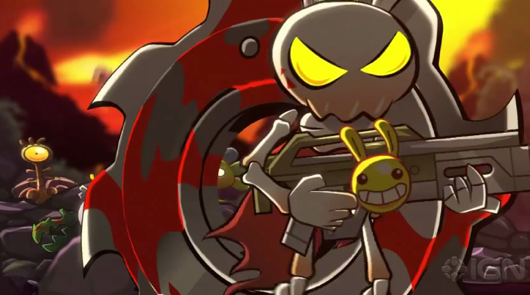 Back in October, Sega and Big Bang Mini developer Arkedo showed artwork of an upcoming game called "Project Hell Yeah." The game is now officially called Hell Yeah! Wrath of the Dead Rabbit, according to an IGN reveal, and the platformer is coming to PS3 download, XBLA and PC this year. Hell Yeah is about the rabbit prince of Hell, who, uh, sets off on a mission of bloody vengeance when embarrassing photos are posted online. Judging from the animated teaser, said bloody vengeance will be carried out within a giant spinning wheel of death. That's worth an enthusiastic "sure!" Sega and Arkedo's 'Hell Yeah' revealed originally appeared on Joystiq on Wed, 29 Feb 2012 17:30:00 EST. Please see our terms for use of feeds. Konami has shifted the launch date of the Silent Hill HD Collection once again, with the bundle now due to hit stores on March 20. As Game Informer notes, the survival horror classics were intended to creep in by March 6, after having already been delayed from January. Despite this delay, March is still set to be a mad month of Silent Hill. Silent Hill: Downpour should be out on March 13, and Vita's Book of Memories on March 27. Now, the HD collection will be sandwiched inbetween, with a digital launch expected sometime after. Update: Konami has reconfirmed launch dates for Downpour and Book of Memories as listed above. Silent Hill HD Collection delayed to March 20 originally appeared on Joystiq on Wed, 29 Feb 2012 17:00:00 EST. Please see our terms for use of feeds. Anxious mech pilots antsy to get back to space will get their chance this autumn when Zone of the Enders: HD Collection launches on Xbox 360 and PS3. For those of you who've never heard the word "autumn" before, it's just a fancier way of saying "fall." The Zone of the Enders: HD Collection features both the original Zone of the Enders and its sequel, Zone of the Enders: The 2nd Runner. It was originally announced back at E3, both as a disc product and as a downloadable title. 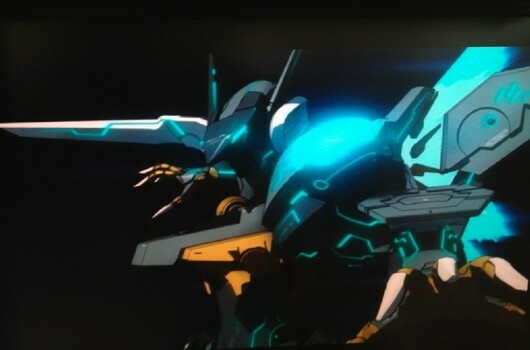 Zone of the Enders: HD Collection takes flight this fall originally appeared on Joystiq on Wed, 29 Feb 2012 16:30:00 EST. Please see our terms for use of feeds. Will Stallwood is a gambler. He's had the same addiction for years, yet he's never stepped foot inside a casino. He's never found himself hunched over a table fitted with worn green felt, sliding his last two chips between sweaty, shaking palms. He's never felt the sick dread as a slot machine whirs through its final frame; he doesn't know if he prefers red or black. Stallwood has been addicted to gambling on the success of his indie studio, Cipher Prime, since its triumphant launch of Auditorium in 2008. But this year feels different. This year Stallwood feels as if his lucky streak may finally be running out. Cipher Prime isn't an unknown team of novice developers working out of a garage, but that doesn't mean they're rolling in dough either. Its previous titles were successful, but after a deal went raw with Fractal's publisher, Zoo Games, Cipher Prime was stuck with a rushed title and more debt than it ever expected. Stallwood and Cipher Prime co-founder Dain Saint had to legally fight for the rights to their own game, eventually getting them back more than 200 days after Fractal launched on the App Store. Saint and Stallwood were understandably turned off of the old-school publishing route. "We were not a fan of the publisher model before, because it just covers development and we never see royalties no matter how good the game goes," Stallwood said. "Now, we're just completely sour to the whole thing. We're not completely opposed if it means the difference between making games or not, but if there is any way we can avoid it and still make games, we're certainly going to try." Cipher Prime has found another way -- it hopes -- with Kickstarter. The price of independence: What it really costs to be an indie developer originally appeared on Joystiq on Wed, 29 Feb 2012 15:00:00 EST. Please see our terms for use of feeds. The Mass Effect 3 "Vault" by Calibur11 makes your Xbox or PS3 look kind of like the torso of a Lego Commander Shepard. It also makes the counterintuitive claim of improving airflow to the device. If the allure of a system that is like a chest in two different senses of the word isn't enough, perhaps you'd be swayed by the promise of some Mass Effect 3 DLC? Like every other Mass Effect tie-in product this year, the Vault comes with some in-game bonuses, specifically "Reinforcement Packs" containing race and class unlocks, weapons and items for use in multiplayer. If you've resisted the books, toys, and other items, maybe this will be the thing to confer bonus DLC on you, while encasing your game system in the warm glow of "battery powered lighting effects." Mass Effect 3 Vault comes with DLC too originally appeared on Joystiq on Wed, 29 Feb 2012 10:30:00 EST. Please see our terms for use of feeds. 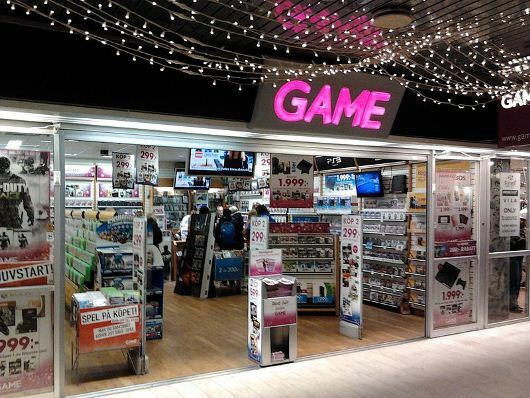 The latest sign of significant trouble for UK retailer Game: it won't have Mass Effect 3 to sell for next week's launch. An internal memo obtained by Eurogamer also reveals the retailer is canceling pre-orders on upcoming EA titles FIFA Street, Tiger Woods 13 and Sims 3 Showtime. "Last week we held an event for our publishers in the industry and explained the challenges we are facing in the short term - and we asked for their support," Game channel director Tom Devine wrote. "We will not stock products if the terms are not right for our business - a position we believe is critical to our long term health as a business - we have taken the very difficult decision to not stock EA's March releases, including Mass Effect 3." Game tried to spin its missing Ubisoft Vita launch titles last week, but no amount of voodoo is going to get folks to ignore that Mass Effect 3 isn't available at the retailer. Earlier this month, Game cut 46 jobs from its headquarters as part of a massive restructuring to save the company. The financial situation is so dire, and the impact on publisher profits from the UK significant enough, that both EA and Take-Two mentioned the retailer's condition in recent financial calls. It's going to be even more difficult for Game to climb out of its hole if publishers aren't confident enough to provide the retailer with product. GAME not stocking Mass Effect 3, future EA titles originally appeared on Joystiq on Wed, 29 Feb 2012 09:40:00 EST. Please see our terms for use of feeds. 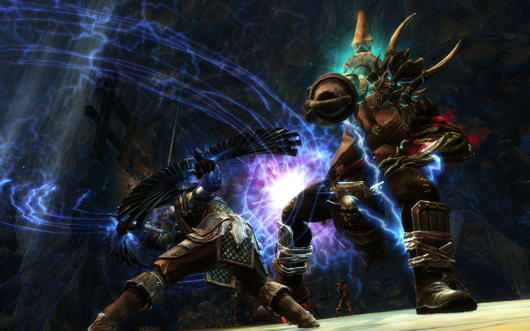 'The Legend of Dead Kel' is Reckoning's second DLC, arrives on March 20 originally appeared on Joystiq on Wed, 29 Feb 2012 08:30:00 EST. Please see our terms for use of feeds. Asura's Wrath isn't much of a game, but its over-the-top, anime-style story makes it easier to overlook its shortcomings.